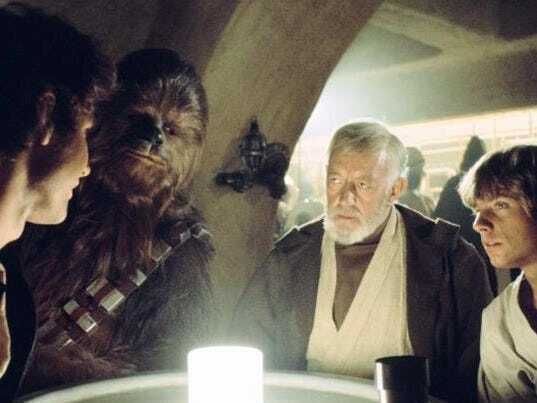 In celebration of the 40th anniversary of the release of George Lucas’ “Star Wars: Episode IV – A New Hope,” which didn’t just launch the one of the greatest movie franchises of all time but also the summer blockbuster, let’s look back at one of the movie’s most memorable moments: the Mos Eisley cantina scene. It’s where Luke Skywalker (Mark Hamill) and Obi-Wan Kenobi (Alec Guinness) find a pilot to take them to Alderaan. You guessed it — Han Solo (Harrison Ford).